Looking forward to the romantic month of February and being as productive both at home and at work as I possibly can! Happy reading! Nothing else this month! Too busy with work and other festivities! My mom and I love October and are super excited for Halloween. Happy reading everyone! Hope you enjoy the spookiest month of the year! ARC August 2018 – participated in this reading challenge, check out all my posts here! Bout of Books 23 – participated in this one too! Check out all my posts here! The Duke of Seduction RELEASE BLITZ!! Romancing the Scot BLOG TOUR!! Participate in 2 reading challenges – During May I participated in the Bout of Books challenge and during August I participated in ARC August so this Goal is checked! I only have a few scheduled reviews for December so I’m hoping to use any extra room to catch up on the backlog and also to read some books I’ve borrowed from friends and haven’t read (I am awful at that – don’t lend me books if you want them back). Below is my TBR list for December deadlines only though, I’ll keep it loose on the backlog catch up and see how things go. Make sure to check back regularly for some great reads this month as I catch up on my backlog! Wow so May was a pretty crazy month. 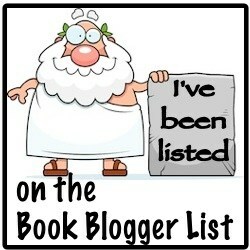 I participated in the Bout of Books 19 reading challenge and I also participated in a couple blog tours. I think I got a lot of reading done considering my work schedule, which exploded this month. I tried my best to keep up but there are a few May releases that I missed and will have to catch up with later this year. So anyways, here is my progress for the month of May! Few days late again for the update but things are crazy. Gearing up for the holidays and also working a bunch leaves little time for blogging. We went away to MA this past weekend and had a great time, really got us into the festive spirit! Anyways here is my status update for what I got done in November. There weren’t really any books that I disliked this month, was a good month for reading! Mistletoe, Mischief and the Marquis BLOG TOUR!!! I’ve pretty much given up on the reading challenges for 2016, I’m mostly just trying to survive at this point. I’m actually happy that I managed to keep the list short for this month because there are a lot of books on my backlog too so I’m hoping to have some time to dig into some of those but we will see how the month goes. Happy reading everyone! August is over, I can hardly believe it. Before you know it will be the dreaded tax season again. I’m gearing up for one of my busier times of the year anyways since I audit towns, which for me usually means less reading. I am hoping to at least keep it closer to even this year since I haven’t been reading much lately to begin with, I’ve been so busy there’s hardly been time. August overall was a good month though, I feel like I got a lot done and I had a lot of fun this month! I didn’t care for I’ve Got Sand in All the Wrong Places by Lisa Scottline and Francesca Serritella. Not that it was a bad book, just wasn’t my usual style of book that I enjoy. There are a few books that I have to read in September but I’ll still mostly just be working off my back list of ARC’s that I need to get through. Some of the September ARC’s I’m more excited about are the new YA release by Natasha Preston and the 2nd book in a trilogy by Joe Hart. Stay tuned for some great reviews this month!